Handheld omnidirectional scanner with single-line capability! MS3780 Fusion, Includes a Metrologic MS3780 Fusion barcode scanner and a Gilbarco Passport compliant communication cable (54-54003-3). 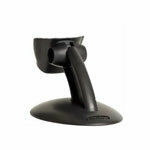 MS3780 Fusion, SCANNER ONLY: Dark gray, USB Full Speed. Non-Cancelable/Non-Returnable. MS3780 Fusion, SCANNER ONLY: Dark gray, OCIA. Non-Cancelable/Non-Returnable. MS3780 Fusion, SCANNER ONLY: Dark gray, Keyboard wedge interface, Installation & User's Guide, does not include interface cables or cradle. MS3780 Fusion, SCANNER ONLY: Dark gray, RS-232 interface, with User's Guide, does not include interface cables or cradle. Non-Cancelable/Non-Returnable. MS3780 Fusion, SCANNER ONLY: light gray, USB Full Speed. Non-Cancelable/Non-Returnable. MS3780 Fusion, SCANNER ONLY: Dark gray, low speed USB interface, Installation & User's Guide, does not include interface cables or cradle. Non-Cancelable/Non-Returnable.